As is commonly observed, biology is permeated by variability. In our laboratory and field work, we are consistently puzzled by the high intra!-specific variability observed amongst clones obtained from one population. One aspect of our work is to quantify the degree of intra-specific variability and to distinguish it from the well known variation amongst species. This work aims to establish to what degree we can distinguish ‘species’ and ‘groups’ so they can be characterized in ways that can help parameterize large scale assessments, for example for models that analyze biogeochemical cycling. We also address the puzzle of the high degree of intra-specific varibility theoretically. In apparent contradiction to competition theory, the number of known, coexisting plankton species far exceeds their explicable biodiversity—a discrepancy termed the Paradox of the Plankton. Together with Julie Rowlett, then at the Max Planck Inst. for Mathematics in Germany, we introduced a new game-theoretic model for competing microorganisms. Through models we simulated 1000s of individual-level interactions among microorganisms, which reflect indivdual-level diversity in physiology, behavior and genetics, rather than bulk population-level competition based on average physiological, behavioral or genetic characteristics. We found that intra-specific variability was the key characteristic that ultimately allows coexistence because the outcomes of competitions between individuals with variable competitive abilities were unpredictable. 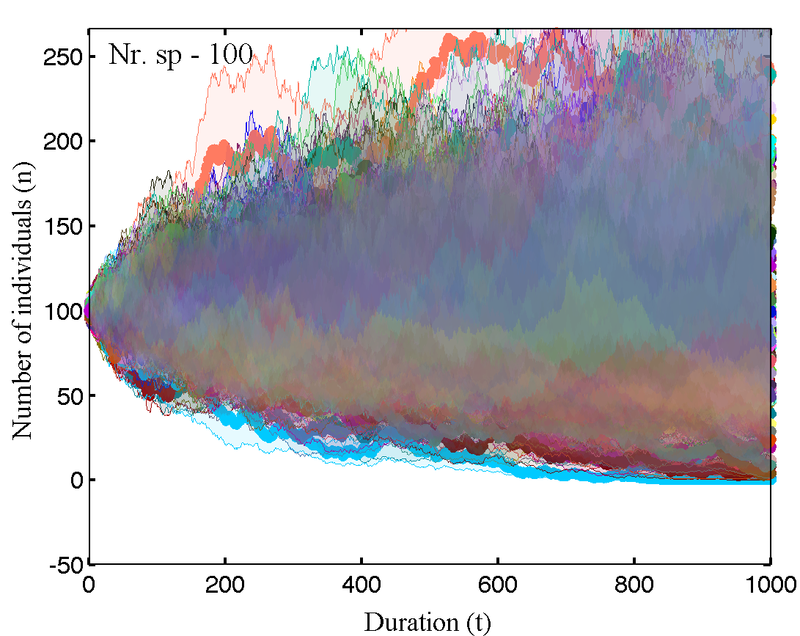 Our simulations based on the theoretical model show that up to 100 species can coexist for at least 10 000 generations, and that even small population sizes or species with inferior competitive ability can survive when there is intra-specific variability. In nature, this variability can be observed as niche differentiation, variability in environmental and ecological factors, and variability of individual behaviours or physiology. Therefore, previous specific explanations of the paradox are consistent with and provide specific examples of our suggestion that individual variability is the mechanism which solves the paradox of the plankton. Menden-Deuer & Rowlett 2014, Menden-Deuer & Montalbano accepted.